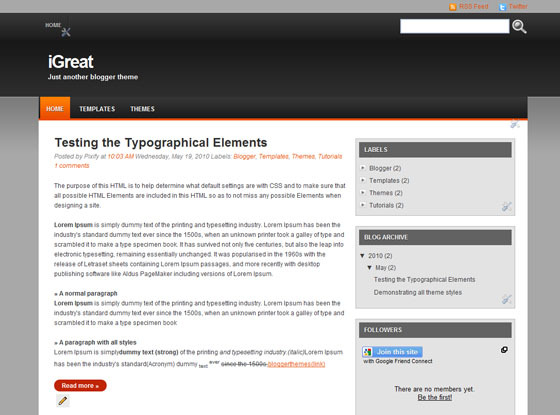 iGreat Black is an elegant and clean design free Blogger theme suitable for any niche. Thanks for this! this a very important help for designers and non-designers alike!